If you guys don’t have a Web Camera and still want to chat with your friends on Yahoo and Skype then have a look at what we have got for you. If you have a Cell Phone with Camera you can use it like your Web Camera. The SmartCAM is a freeApplication connect the PC to your mobile and it will Synchronize your Mobile with your PC through Bluetoothso you can use your Cell Phone Camera as aWeb Camera and have a Video Conferencing. 1. SmartCAM is basically developed for the Phones with Bluetooth connectivity using which the integration of your phone cam with your PC is made easy. 2.What you need to get started is, just install SmartCAM in your PC and in your phone also. You need to have the application installed in both the terminals. 3. 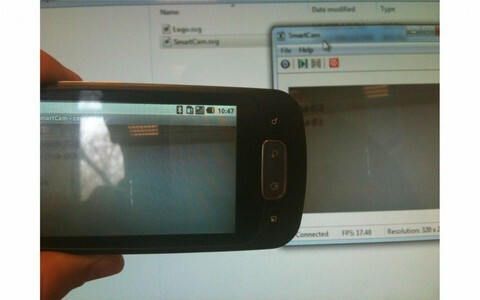 Connect the phone to PC via Bluetooth using the SmartCAM Application Interface. 4. Once you have connected to the PC what you need to do is to synchronize the phone with your PC so that you can easily make it function as your PC Web Camera. 5. SmartCAM works very well with Skype and Yahoo Messenger where you can video chat with your friends using your Phone’s Came.